DPDT Momentary On(On) Foot Switch Guitar Effects Pedal Metal Stomp Box. LJ18A3-8-Z/BX Inductive Proximity Sensor Detection Switch NPN DC6-36V often uséd for 3D printer bed leveling. NPN NO(Normal Open). Type Inductive Sensor. Detecting Distance 8mm. Typical Application: 3D printer bed level sensing. You will receive x10 pieces SMD Red Microswitch as pictured. As soon as the tactile switch button is released and the pressure has been taken off, the circuit is then broken. 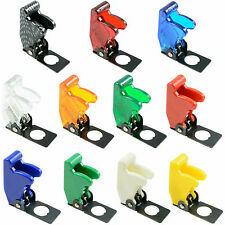 There are many types of electric tactile switches available and these are:-. DPDT Latching On/On Foot Switch Guitar Effects Pedal Metal Stomp Box. 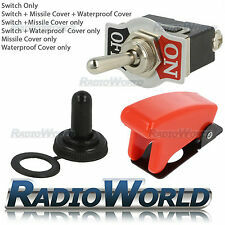 (On)-Off-(On) Momentary Rectangle Rocker Switch DPDT Crane Toy Winch. 4x Mixed illuminated Lighted LED On/Off Rectangle Rocker Switch Car Dash 12V. 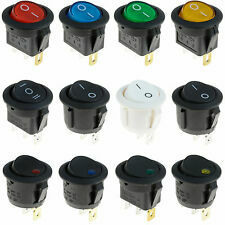 5 x Mini Momentary (On)Off(On) Toggle Switch Car Dash Dashboard Boat SPDT 12V. Vertical Stainless Steel Liquid Level Sensor Horizontal Float Switch. 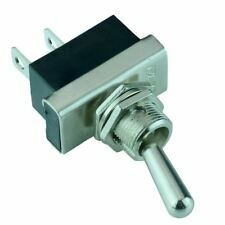 Stainless Steel Float Switch. Max switching Current: 0.5 A. Does not have a complex circuit and will not be disturbed. Can be installed either at the top or base of your tank - depending on whether you wish to detect the water's rise or fall. 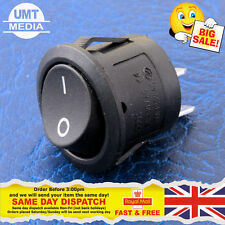 10 x Mini Miniature (On)-Off-(On) Momentary Toggle Flick Switch SPDT 5A. As soon as the tactile switch button is released and the pressure has been taken off, the circuit is then broken. You will receive x10 pieces SMD WHITE Micro Switch as pictured. 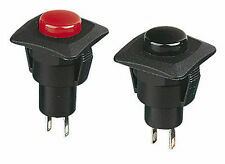 There are many types of electric tactile switches available and these are:-.